We wish you a joyful and impactful new year. May 2019 be the year where you fully tap into your infinite potential and true self to embody the changeyou want to see in the world – with patience, trust and purpose. If you want to stay inspired in 2019, make sure to follow us on Facebook, Linkedin and Instagram, and read on to catch up with our latest news! This month we are thrilled to present you e-CSR.net, one of our hub-members! This media platform inspires people with exclusive corporate social responsibility (CSR) and sustainability news, and contributes to the SDG 17 – Partnership for the Goals! 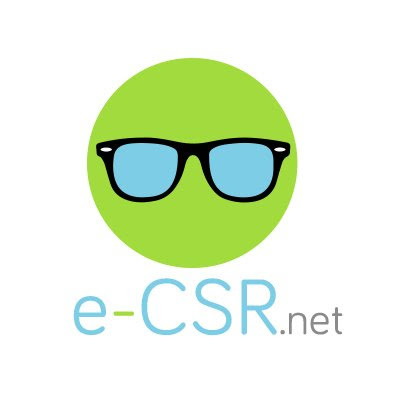 e-CSR.net analyzes the CSR practices of companies, nonprofit organizations and public bodies with transparency. Plus, they want to make social, economic and environmental challengesunderstandable to all. They also have the ambition to engage and connectsociety, experts and opinion leaders in a direct exchange with companies. Have you already heard about the documentary project “É p’ra amanhã”? 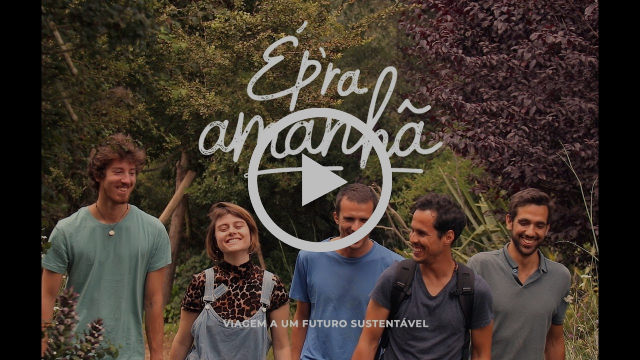 Inspired by the French documentary “Demain”, a group of 5 friends decided to explore Portugal searching for everyday heroes who are building a more sustainable future – today for tomorrow. Come meet the team of “É p’ra amanhã” on the 16th of January at 7PM! Did you know that? These 5 friends met for the first time at Impact Hub Lisbon, and one of them is Francesco, our Program Manager. We are super proud to be the main partner of this upcoming positive documentary series. The best is yet to come. Follow “É p’ra amanhã” on Facebook and Instagram, and join the adventure now by contributing to their crowdfunding! To all young social entrepreneurs working in cultural heritage (music, food, craftsmanship, performing arts, nature, architecture, literature, oral traditions, etc. ), we have a great learning opportunity for you! 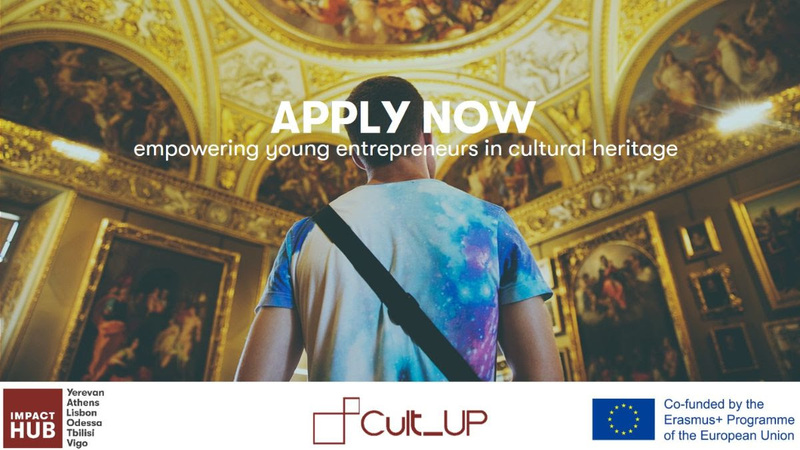 Apply for CULT UP by the 15th of January and get the chance to learn from and with fellow entrepreneurs from Portugal, Spain, Greece, Armenia, Georgiaand Ukraine about smart approaches to tourism and cultural heritage. 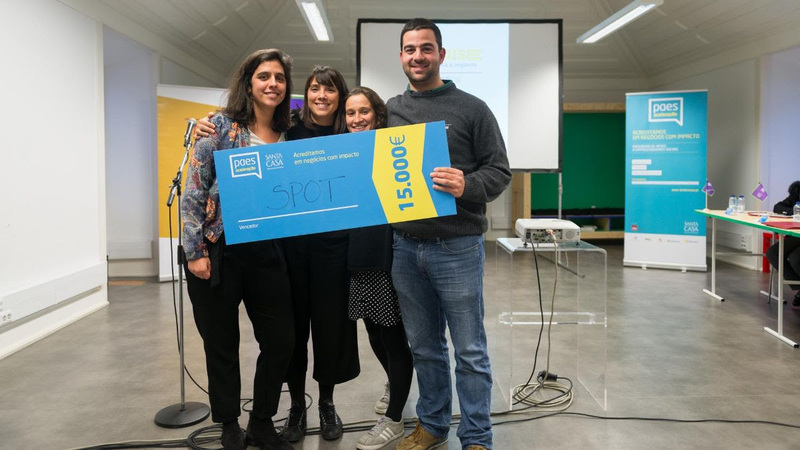 And the winner of PAES Acceleration Program is… SPOT GAMES! This Portuguese startup designs games to foster learning and active citizenship through fun and interactive experiences. 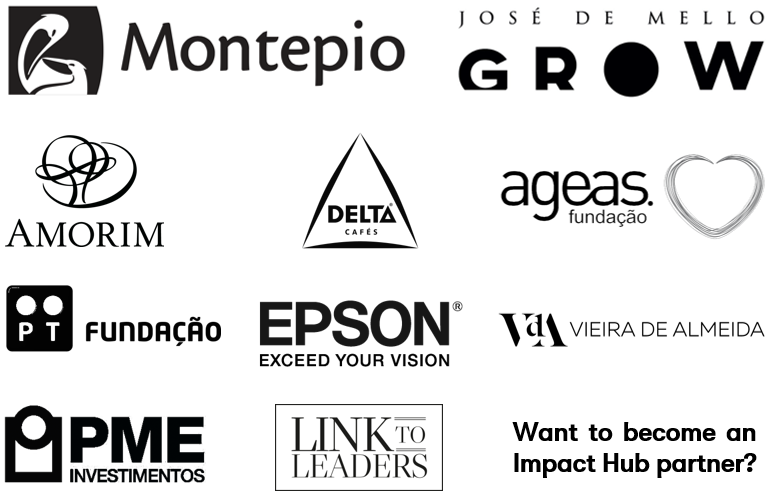 PAES Acceleration Program was an initiative powered by Santa Casa da Misericórdia de Lisboa with the support of Impact Hub Lisbon! Let’s give thanks to Link To Leaders, our media partner! Link To Leaders is an online media platform that brings together startups, companies and business angels to discuss the hottest topics related to the Portuguese entrepreneurship ecosystem. Do you speak Portuguese? 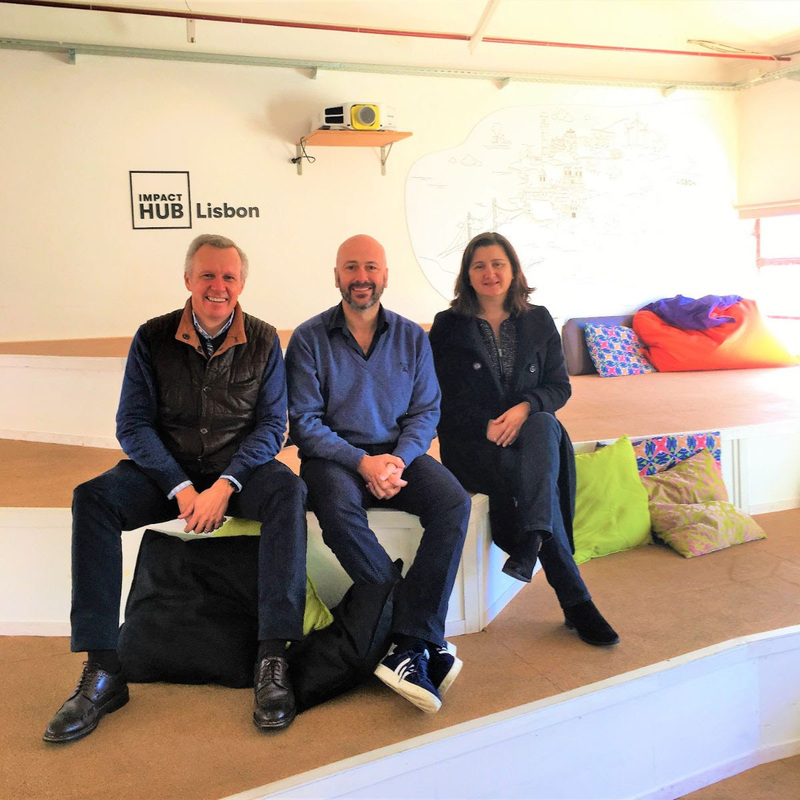 Check out the latest article they wrote about the visit of King Philippe Of Belgium to Impact Hub Lisbon! Have you already met Alice, our new Friday Community Host? 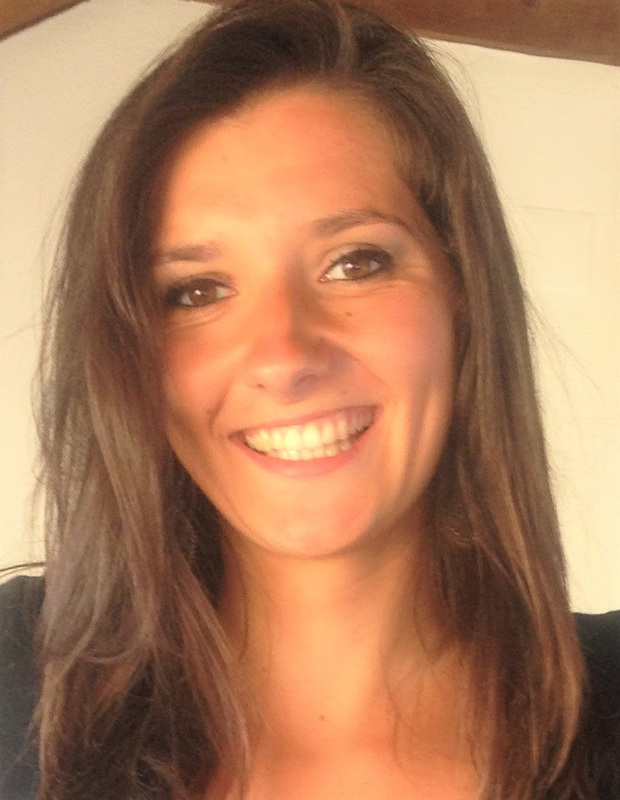 “Hello Impact Makers, I’m Alice, I recently completed a master’s degree in international businessand supply chain management. I’m passionate about entrepreneurshipand sustainability. After traveling and living in many different places around the world, I settled in the vibrant city of Lisbonbecause of its blossoming startup ecosystem, and of course also because of the sun! I do believe we all have a key role to play in improving the world – socially and environmentally speaking. We have the power in our hands to address today’s challenges and pave the way for a better future. That is why I joined Impact Hub Lisbon. It’s a great opportunity for me to help build the community and learn from the hub-members. In addition, I’m now working at Green Tech Challenge, an accelerator for green startups. On another note, I’m also developing my own social project aiming to connect individuals looking for purposeful volunteering opportunities with organizations that need an extra pair of hands.